There are only 27 cabins and suites aboard so making this an exclusive and spacious choice. Throughout, the cabins and suites décor is contemporary and stylish, featuring neutral colours and plush furnishings. All rooms also have expansive river views from large windows, however for an extra luxurious stay opt for one of the Luxury Suites which also benefit from a private terrace and spacious living room. The elegant restaurant on the Oberoi Zahra takes fine dining aboard the Nile, and offers guests a fine selection of cuisine on a daily changing al carte basis, alongside river views. After dinner relax in the Library and Cigar Lounge or the Club Lounge, where you will be treated to live music on two nights of the cruise. 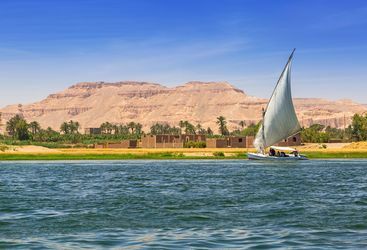 During the seven night cruise guest will have the opportunity to experience some of Egypt's most impressive and historic monuments and sites. With a guide to take you around and explain the history, the hieroglyphics, stone carvings and domineering pillars should seem all the more impressive. Aside from getting your fill of history you'll also want to make sure you enjoy the sun deck and its large swimming pool, and maybe even indulge in a pampering massage from the spa. Spending seven nights aboard a luxury cruise, while also experiencing some fascinating culture makes for a great holiday combination. Amelia is our 'The Oberoi Zahra' expert and as a seasoned traveller has the inside track on the most memorable adventures.